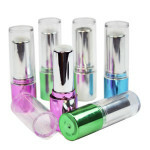 Acrylic cosmetic bottles are an incredibly popular method used for the storage of liquid cosmetics and even some powders. More often than not, they are used to store lotion or a creamy cosmetic liquid, though some are also used for perfumes. Powders can be stored in the smaller bottles, though it is not recommended, especially for the tall, slender bottles, since it can be difficult and messy trying to remove the powder. This is not to say that powders cannot be stored inside the bottles and in the cases of some packaged dry shampoos, acrylic bottles are an excellent storage option. However, they are incredibly useful when it comes to storing lotion since the acrylic tends to have slick surfaces that prevent the lotion from sticking to the sides of the inside of the bottle. 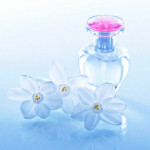 It is also perfect for perfumes since acrylic has no scent that can be transferred to the contents. Acrylic is a durable synthetic material that is typically clear, but can also come in a soft, clouded pearl color. Since it is man made and composed of synthetic resins and textile fabrics, it is durable but also light weight. These containers come in a variety of shapes, sizes and styles. They are either air-tight or refillable, depending on the attachment of the container. The bottles can be thick or thin, depending on the manufacturer’s preference or the materials being stored. The thicker bottles, especially when combined with the clouded pearl color, give the product an elegant, luxurious appearance that is great for higher end beauty products. Acrylic bottles are similar in appearance to glass, which makes them appealing to buyers, but will not shatter as easily as glass does. They look very elegant and they are durable. Many manufacturers prefer acrylic plastic because it is easy to mass produce and it allows longer shelf-life for the cosmetic product. Acrylic, in addition to being durable, is also fairly inexpensive, especially compared with glass products. It holds up a lot better than the plastic bottles which can easily break down over time if stored in warm cabinets. Acrylic material also does not produce any residue, unlike plastic, so there will never be any shavings or small pieces in the cosmetic product that can potentially clog the hose or damage the product inside the bottle. Acrylic bottles can also survive a substantial drop without shattering which makes them more efficient than glass bottles. The bottles are typically tall, and rectangular. For lotions, they may have a simple plastic cap that is fitted on with screws, or may include a pump that produces a small amount of lotion. For perfumes, the bottles with include a thin hose that snakes down into the bottle and a spraying mechanism to evenly distribute the perfume. At the top of the bottle, there is a narrow opening that is typically substantially smaller than the rest of the bottle. This opening will feature threads and a cap. The cap may be a simple pump, a spritzer, or a even just a standard plastic cap depending on the product that being stored. The threads allow for the top of the bottle to be removed, exposing the materials inside, and can be screwed back into place at any point in time, making the bottle airtight. The easy removal of the cap also allows for the bottle to be cleaned and reused. 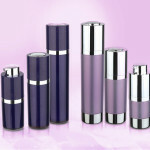 These bottles can be filled with lotion, perfume, nail polish, foundation or other types of cosmetic products. They come in a variety of sizes, which means that they can fit in a bag or a purse. 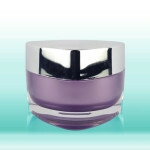 Acrylic plastic bottles are ideal for packaging cosmetics because they look like glass, yet are more durable. They are also of higher quality as compared to PET, PC or PP plastics. 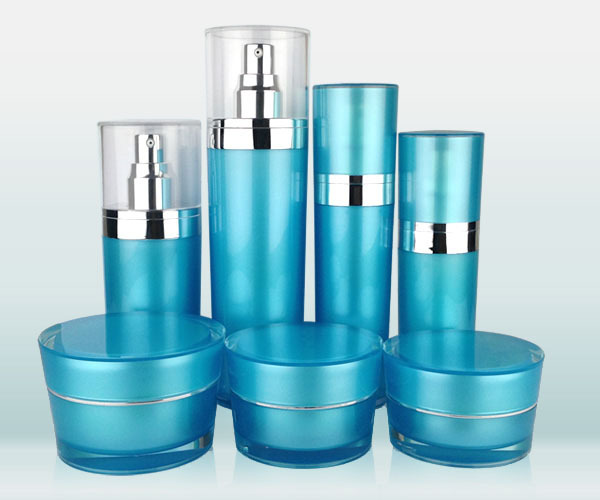 Acrylic plastic is ideal for cosmetic products because it is very durable and more affordable as compared to glass. They can be produced in large quantities for bulk orders in a short amount of time. Acrylic plastic bottles are also lighter than glass, yet they are sturdier than PP plastic. It is also easy to label acrylic plastics for branding purposes. Acrylic bottles can come in different shapes and sizes. They are usually in tube or cylinder shapes. However, they also come in heart shapes, square shapes or pyramid shapes. 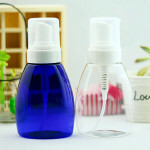 The size of the bottle depends on the cosmetic substance to be stored inside the container. These vary from anything under 30 ml up to 750 ml. Nail polish bottles are usually very small, whereas lotion bottles can be very large. 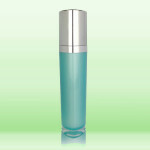 Acrylic bottles can be manufactured in different sizes, depending on the requirements of the cosmetic company. Acrylic plastic is usually clear and uncolored. However, plastic bottles made from this material can be tinted before the container is formed. This means that it can come in many different colors and levels of transparency. There are some acrylic cosmetic containers that come in a gradient where the bottom can be tinted and the top remains transparent. Acrylic bottles can have an embossed design which can act as the label. These can also have aluminum strips for aesthetic purposes. Aluminum strips are simply attached to the body of the bottle and are coated with a metallic sheet for an elegant design. They can also be lightly powder coated so that the bottle is not transparent or opaque. Sticker labels can be easily attached to acrylic cosmetic containers. 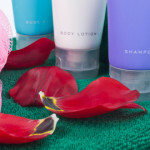 These cosmetic containers can be used for a variety of products. The type of product that are stored in acrylic bottles determine the attachment, lid or cover which is to be used. 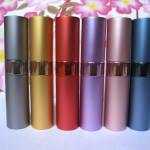 Attachments such as mist sprayers, finger sprayers or lotion pumps are commonly used for different cosmetic liquids. However, if a product can be applied by pouring, the bottle can have a simple PP plastic or aluminum cap which can be smooth or ribbed. There are a number of acrylic containers in the market that are from a combination of recycled plastics. These acrylic containers have PP plastic, PC plastic and acrylic material. Most acrylic plastic containers are recyclable and can be reused or refilled.